Journey to the “Top of the World” on the Beartooth Highway for spectacular 360-degree views and the chance to play in the snow in the middle of summer! From Little Big Horn and the Beartooth Mountains to Yellowstone’s Lamar Valley and Cody’s rollicking Rodeo, there’s no better place to garner a true taste of the Wild West than here in Austin Adventures’ own backyard. Our expert guides can't wait to share the fascinating folklore and endless outdoor offerings of Big Sky Country on this six-day, exclusive journey through one of our favorite places on earth. 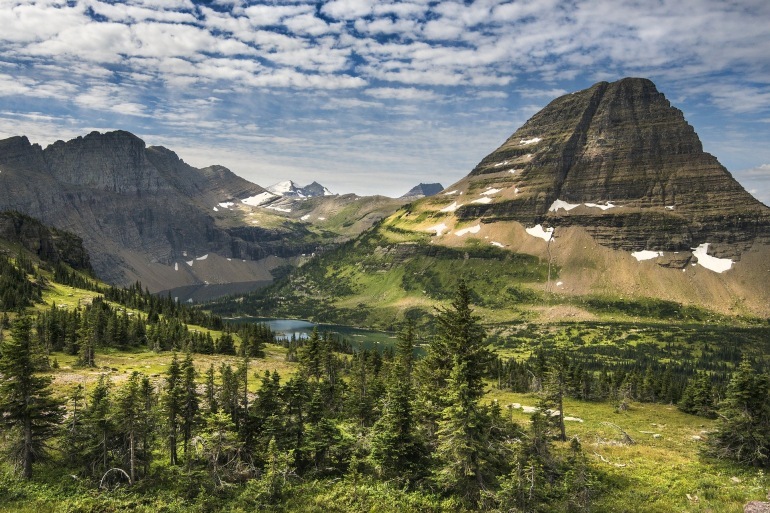 This Montana vacation package is sure to delight adventurers of all ages and send you home with a collection of unforgettable photos and memories-to-last-a-lifetime. Wolf-watching, backcountry hiking, and horseback riding through Big Sky country – a treat for families. No reviews yet for this trip. Browse other reviews below for Austin Adventures. I found much to enjoy on a trip this summer in terms of the activities, however, we had several couples who dominated the trip in an unfriendly way. These couples knew each other and planned their trip together. What surprised me was that the guides made no effort to defuse this. At the end of the trip, the lead guide said the guides failed to present at least half of their commentary due to the loudness of the couples. (The couples also seemed to broadcast sexist comments almost continuously.) I've seen other companies handle group dynamics in a more proactive way. My family just finished the Arizona trip with Katie and Emily as our guides. The trip was well-planned, with a great mix of seeing great places and having active adventures (kayaks on Salt River, biking through scenic trails and the painted desert and our favorite part-hiking and biking in the Grand Canyon.) The accommodations in each place were optimal, meals were great and Katie and Emily were the best. They were always prepared, efficient, friendly, and highly-skilled at everything from guiding us on hikes, bike rides and river floats to transporting us and our stuff, to pampering us with treats--even fresh carved fruit or chocolates produced at the bottom of a canyon trail. Just completed a wonderful Havasupai trip. It was the first of its kind and one never would have guessed it. Kasey was wonderful, as were those she teamed up with from AOA for this particular trip. I'd recommend an Austin Adventure to anyone! Took a family vacation to Yellowstone last month with Austin Adventures and had the most amazing time! Kasey and Zach were awesome guides who really went above and beyond to assure my family enjoyed every minute as well as maximized our potential to experience as much as possible in the 4 days we were there; I wish we could have stayed longer! We left Yellowstone feeling that this was our best family vacation ever! Thank you Zach, Kasey, and Austin Adventures! Have a great summer. Just got back from the Yellowstone/Tetons trip, our first with Austin Adventures, but definitely not our last. Our guides Carrie and James set the perfect tone and kept our spirits up despite some rainy days. I highly recommend this tour company and look forward to more adventures with them! This Four-Star hotel is located in the heart of downtown Billings. Reopened in early 2013, the Northern invites you to relax in the luxuriously-renovated guest rooms featuring warm, contemporary interiors by award-winning designer, Mitch Thompson. With 24-hour room service and unique in-room amenities (do you like aquariums? ), the hotel has dotted every I and crossed every T in creating a luxurious Western experience. Steeped in history, The Pollard is located in the former mining town of Red Lodge at the edge of the Rocky Mountains and is the destination hotel near Yellowstone’s east entrance. Open the French doors in your suite to a private balcony, or relax by the fire with a rich coffee in The Gallery, or appreciate a single malt scotch and a good book in the History Room. Located in Cooke City right near the Northeast entrance to Yellowstone, the Alpine Motel's rustic charm mirrors the stunning scenery surrounding it. Step back in time into the old west of today at the Irma Hotel, a place the famous hunter and showman Buffalo Bill Cody called “a gem.” Here, you can stay in historic rooms that housed some of the most iconic figures of the West: Frederic Remington, Annie Oakley, and Calamity Jane. Fancy enough for royalty and comfortable enough for cowboys and cowgirls, the Irma Hotel exemplifies the spirit of Cody, Wyoming! Hospitality, and history—this is The Pollard, a beautifully restored historic hotel near Yellowstone National Park. Beautiful woodwork, linen napkins, a menu for all tastes and an enviable wine list await you in the dining room. Open the doors in your suite to a private balcony, or take a rich coffee into The Gallery and relax by the fire, or appreciate a fine single malt scotch and a good book in the History Room. The hotel that served Buffalo Bill Cody, Calamity Jane and other western legends was completely restored in 1994. Since that time, graceful comfort combined with modern amenities and attentive staff have earned The Pollard national recognition and many awards. Visit the Irma Hotel – a place that Buffalo Bill Cody called "a gem" just outside of Yellowstone National Park. He built the hotel in 1902 and named it for his daughter, Irma. Today, you can stay in historic rooms that housed some of the most famous personalities the world ever has known, including Frederic Remington, Annie Oakley and Calamity Jane. You can even stay in Buffalo Bill's private suite. There are a host of other historic or non-historic rooms, all with up-to-date amenities and air conditioning.